Following the summary of the report released by the Truth and Reconciliation’s Committee on June 2nd, 2015, people started posting on social media little blurbs about what an honest truth and reconciliation related the the years of residential schooling of Aboriginal Peoples would mean to them. Truth and Reconciliation for me would be evidenced when the new generations of Aboriginal People know and honour their histories with a language that indicates empowerment and pride as opposed to shame or victim-hood. 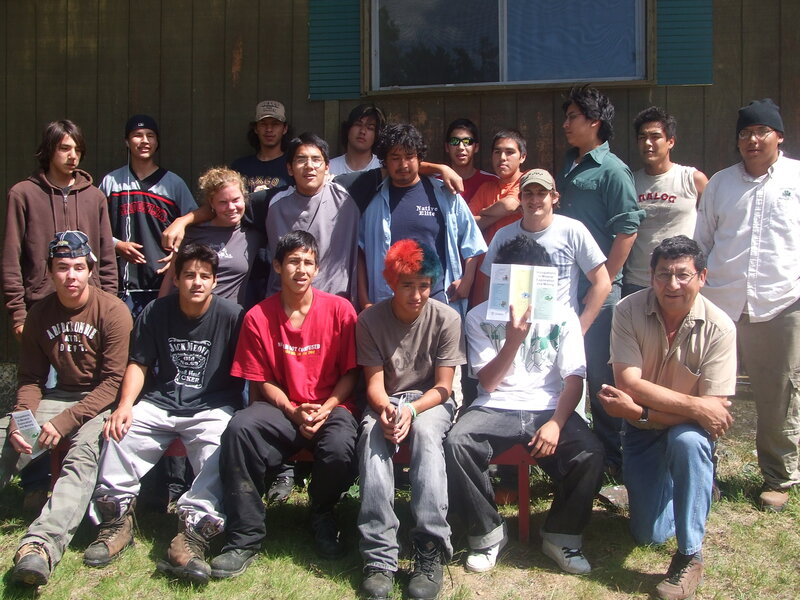 This picture was taken in 2007 in Northern Ontario, when I worked as a crew-boss for an employment program for First Nations Youth. I learned so much from the three groups I worked with over three summers. It was these experiences that launched me into my Masters degree in counselling and taught me to be curious and forever committed to issues of social justice as they relate to mental health. It also taught me to be curious and constructively critical about non-Aboriginal authorities and leadership of a matter that was ultimately created by these very same authorities. I have since lived on Reserve, worked with First nations youth in Vancouver, Norther Ontario, Montreal, and now Ottawa. And in every experience, I encounter young Aboriginal spirits who haven’t even heard of residential school, don’t know if their parents or grand-parents attended, and yet they are growing up in the care of a Children’s Aid Society, away from their home community, and faced with personal challenges of suicide, incarceration, and poverty. My truth and reconciliation would be for these youth to know and understand the truth without internalizing it. And the education about the truth unfortunately can’t authentically come from me – a white “southerner” would can’t ever really truly understand the individual impact of the cultural genocide. I wish for these young girls and boys who are wards of the crown to know that it isn’t because they are unloveable or unworthy that their families were not in a position to parent them the way they long for. I wish for these young girls and boys to truly understand and have compassion for the suffering of their ancestors toward whom they carry anger and resentment due to their experience of having been abused, neglected, or abandoned. The kids I am talking about are living in the cities of our country, in group homes and foster care, far away from any family they ever knew, and with no plan on the part of their legal guardian (the government) to return them to their home community. The reality is currently, that a return home is not always safe or possible, but I hope that this reality will slowly change. If today’s young people who are experiencing a generational impact of residential schools and cultural trauma are able to observe and learn about their histories without making it mean “my parents didn’t love me” or “I wish I was never even born”, I think we would be making some pretty huge leaps toward cultural healing. When I listen to a drumming circle, I cry. It’s powerful beyond words and I have learned so much about spiritual healing from the First Nations cultures I have worked within. There is a wisdom to the practices that is beyond what western medicine will ever offer.